LUCASVILLE, Ohio (CN) – Ohio prison officials called off the execution of an ailing convicted murderer on Wednesday after failing to find a usable vein to inject him with lethal drugs. 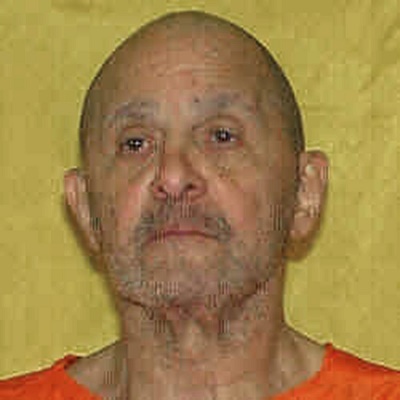 Ohio announced it planned to go head with the execution of 69-year-old Alva Campbell Jr. over the arguments of his attorneys, who said he was too sick to undergo the process and the procedure would violate his constitutional rights. Medical personnel tried to find a usable vein to inject Campbell for close to 30 minutes Wednesday before the Ohio Department of Rehabilitation and Corrections called off the execution. The failed attempt marks only the third time in U.S. history that officials have halted an execution while it was already underway, according to reports. The condemned man had sought to delay his execution for the aggravated murder of 18-year-old Charles Dials during a 1997 carjacking. Campbell’s attorney David Stebbins said that his client was relieved to have won a reprieve. “We only saw him for about 10 minutes. But he seemed a bit in a state of shock about the whole thing. He was just having trouble processing it all,” Stebbins said during a phone interview. On Tuesday, the U.S. Supreme Court declined to stay the execution after Campbell’s lawyers argued his civil rights would be violated if he was forced to undergo the procedure. Republican Gov. John Kasich refused to grant him clemency in the face of arguments Campbell should avoid the death penalty because of the abuse he suffered as a child. In a petition to the nation’s highest court, Stebbins said that Campbell was potentially allergic to the lethal injection drug midazolam. Vein assessments showed that personnel would not be able to insert an IV into the death row prisoner without an extended search and the help of ultraviolet light and tourniquets, the attorney said. Stebbins said Wednesday that Campbell entered the death chamber in a wheelchair and was helped on to the table. Because he has difficulty breathing he was a propped up at a 40-degree angle with a wedge pillow. The attorney said that officials had tried to insert an IV in his right and left arms and then on his right shin. The attorney said he was watching the procedure on closed-circuit television when he saw the medical personnel abandon the process and go up to Campbell and shake his hand. Campbell wiped away tears after being told his execution was called off. Stebbins said he learned 10 minutes later that the governor had granted his client a reprieve. Kasich has scheduled a new execution date for June 5, 2019, according to Stebbins. The attorney said he did not know what legal step Campbell would take next. “We have some time to work on it,” Stebbins said. Campbell was to be executed at the Southern Ohio Correctional Facility in Lucasville. Dials’ brother, sister and uncle were to witness the execution. A federal judge had rejected Campbell’s request this month to face a firing squad rather than lethal injection. What the inmate thought was his last meal included pork chops, greens, sweet potato pie, mashed potatoes and gravy, macaroni and cheese, and milk. The American Civil Liberties Union has called for an immediate ban on lethal injections in Ohio and said the botched execution was the fifth by state officials in recent years. Campbell smoked two packs of cigarettes a day and has lung cancer, prostate cancer, and severe pneumonia. He was undergoing four oxygen treatments each day and uses a walker, according to court records. Neither the Ohio Department of Rehabilitation and Correction nor the governor’s office immediately responded Wednesday to a request for comment.